The annual Southern Maryland Mustang Club Fall Show will be held at Waldorf Ford on Saturday, September 28th, from 9 am to 3 pm. We wanted to send out a friendly reminder to let everyone know about this fun and fantastic event! This is a family event that will include a DJ with drinks and food available for purchase. We have provided information from the Southern Maryland Mustang Club’s Website on the event with registration details. Please read below and we are looking forward to seeing all of you next Saturday! You can download the Registration Form here but we have also included the list of details below to save you time and money. • Vendors/Exhibitors/Applicants, registration from 9 ‐ 11 am. Registration closes at that time. • Judging will commence at 11:30 and cease at 1:00 pm. Trophy presentation will begin at 2:30 pm. • You must be entered to judge. • All vehicles entered must be powered and bodied/produced by Ford Motor Company. • Vehicles will be categorized into (A) Early Classics 1964½ ‐ 70, (B) Late Classics 71 ‐ 78, (C) Fox‐bodied 79 ‐ 93,(D) SN95 94 – 98, (E) SN95 99 ‐04,(F) S197 Mustangs 05 ‐ 09, (G) S197 Mustangs 10 ‐ +, (O)Non‐Mustang/LM Car,(T) Truck with trophies awarded in each category. There will be single trophies awarded for Best‐in‐Show, Sponsor’s Choice, and others. Door prizes will be given throughout the event. 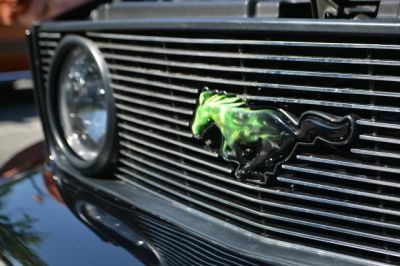 • The decisions of the Southern Maryland Mustang Club and affiliates concerning this show are final. No exceptions. • This is an alcohol free, family oriented event for all ages. Please act responsible. • Food and drinks will be available for purchase and a DJ will be present. 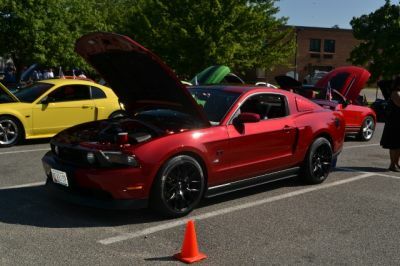 • All images taken on show grounds by the Southern Maryland Mustang Club and affiliates are property of the Southern Maryland Mustang Club and affiliates and may be reproduced, posted and/or shared in any manner deemed by us. Waldorf Ford is Located at 2440 Crain Highway in Waldorf, MD 20601. Please visit our website at http://www.waldorfford.com or call (301) 843-2400!